CHICKPEA SEWING STUDIO: Give Away! 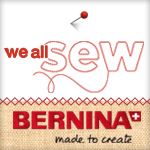 I have been waiting for the Bernina elves to post this in anticipation of a little give away! Any of the wristlets on the picture or supplies to make one yourself. I will pick a winner on Thursday morning, international entries are welcome. These are neat! I like the "Pez candy" one the best but they're all great!! So cute! I like the Wonderland key fob - it would match a bag I'm making so perfectly! oooo i love all of them ... but the wonderland one is probably my favorite! fun! Fun! I love the red flowered one. I would love to win one! My favorite is the orange one on the right! Thanks! So cute! I really like the fun, summery fabrics you've used. I really love them all, but am most drawn to the center - the red flowers. Thanks for the instructions! Wow. I like them all. I can't decide. If I win, a surprise would be fine. :) Thanks! Loved your photograph of you and your son. You both appear very lovely.!! I might need to try your pattern out.!!! Hopefully I'll win!! I am loving the one in the middle, so cute! I love all three! I'd take any! Loving that momo fabric - I'd pick the middle one! What a great idea. Those are just lovely, no preference as I'd be delighted to win any! I love the one on the right but golly it would be fun to make one myself and learn the process - always open to something new. Hope I am lucky. Congratulations on having a tutorial featured at Sewing Republic! Can't wait to try making one, but would love to win the orange one! Oh I love them all! Surprises are fun! I love the Wonderland line so that would be my fav...however I would be willing to sew one up myself! i love these! the wonderland is my favorite. But i could totally use the supplies to make one, too! Thanks for the furn little giveaway! All 3 are lovely! I'd like to try making one, but I doubt it's be as nice as yours. THe pods on the far left are my favorite, but I'd love to make it myself, looks like a fairly simple idea with a wonderful fabric and some metal pieces? wahoo. you. Hi - I love them all but the red one on the right is my favorite. Can't wait to check out your pattern. I'd love the supplies to make it myself. These look great! I like the one on the right with all the different oranges. These are so cute! I can't wait to head over and start making my own! I love them all, but I think the one in the middle is my favorite. Cute! Love the one in the middle. The wonderland is my 1st choice and the orange is my 2nd. Really cute! Oh I would just love one of these! I love love love the middle one. I think it would be super handy to have! Two kids + Diaper bag + purse + sippy cups = lost keys! Those are soooo cute. I love it. Thanks for the chance to win one. I love the first one on the left. They are all gorgeous! My favorite is the first one, though! I love the flower one in the middle! Gorgeous! these are great! i especially love the orange one on the right!!! Oh I love that flowery one in the middle. Pretty! I'd love one of these! My favorite is the one of the left - they look great! they are cute! thank you. Oooh, so hard to choose! I love the floral...but the one on the left is sew cute as well! Thanks for the giveaway! Firstly, thanks so much for the baby bib pattern - I've had heaps of fun making them up in 1950s retro patterns, and it has made semi bed rest much more fun than it could've been. If I was lucky enough to win one of these, I'd love to win the middle one - it rocks! I like the red one best! So sweet! So cute! Do you have any tips for sewing through heavy duty material (like the webbing)? I tried to sew a leash for our dog when we first got him, and my machine had some issues... not actually getting through, but sewing a nice stitch. I suspect it may have to do with the tension? They're all super cute, but I love the different orange ones. How fabulous that there is a free tutorial available for this! very cool! I love the Wonderland one best, but they are all gorgeous! Keen to have a go myself! there is a battle raging in my soul between wanting the awesome one on the right and wanting to make one myself to learn how to do it. Not that I will win anyway, but still. Firstly, thanks for having that great bib pattern on your site, I've had a ball making bibs up for my wee girl to be in 1950s retro kitchen prints - and it has made semi bed rest so much more fun! I'd love to win one of these, OR the kit to make it - my particular fave is the middle one. Im in the suprises category - I love them all! Well done! I love the one on the right. Orange polka dots totally rock! I would love to make one. Thanks for the tutorial (and letting me know about that site!) I love the Wonderland Key fob, and with an 18 month old obsessed with keys, i need all the help I can get. I love the flowers! I keep meaning to buy the hardware to make these but never get around to it. I like the one on the left. These are great! My favorite is the floral one in the middle but that could just be because I like everything to be even and middle is neutral. I strange that way =D They are all gorgeous! love them all and can't wait to check out your patterns- i've been wanting to make a dog leash! Thank you for the new pattern. If I won one of course I wouldn't have to make it but if I don't I think I will give it a go. My fave? Hmm they are all pretty great but probably the left one. I think they are all great! I love the colors you used- so bright. I think the first or second is my favorite. I LOVE LOVE LOVE the one in the middle! Pick me! Pick me! Congratulations. They are all lovely. I believe I like the one on the right with the polka dots. They are all really cute, but I love the middle one best. Hope to make some in the future!! The wonderland is my favourite! Oh, I like them all, but most of all thank you for the tutorial. Fun, quick and easy and it looks great with the hardware. I think my favorite of the three is maybe the one in the middle? Hooray! I *heart* the sewing Republic. Congratulations! I'd very much like to win the patchwork orange key wristlet. please. lovely! Oh these are very cute. I'd love to make one! Lovin' the red one on the left especially because I was never smart enough to buy that fabric! That's just enough to make me smile. how cute! I think I'd like to give it a try myself, although I do love the pez one! I love the polka dot one on the right! Thanks for having this giveaway! Those are all great! While I'd love to make one, my sewing time has all gone to the baby, so I'd love to have one that's already made. What a great idea! I love the red one with ovals on the left. Very cute - I would take anyone if I were to win your giveaway! They are all so cute! Any one would be a treat. Go Bernina people go! My favorite is the red one on the left. Just love to see your work. Having a giveway illustrates just how many of us follow your creativity! I adore the orange polka dots. Keep the photos of your adorable Finn coming. oooh fab... i love the middle one best. Oh, the Wonderland key wristlet would match perfectly the credit card holder I made for myself recently!! Love it! I like the orange one but a kit would be great too. Thanks so much for sharing your talents with us! How fun! I've been wondering how to make them, so now I can try it out! So clever! I would love the supplies to make one since I'm a beginner and need all the practice I can get. :D What a cute alternative to heavy leather. Cool! Love them! What a great gift idea too. I love them all. Surprise me if I'm the lucky one! Love the Wonderland! What a great gift idea. What a great idea. These would be a great gift for parties. I like the one on the right. The fabric looks familiar, but I can't seem to come up with a name. So fun! If I had to pick I'd say... the middle one. I love all the colors! The Keyfob is super cute! I love them all, but I'm channeling orange right now...so if I had to choose, it would be the orange one! Thanks! I've been wanting to try to make these for a while, supplies would be great!